As you know, I can't leave well enough alone...... AND today's a snow day without a single flake of snow (as of yet). Since I'm forced to stay at home and stay off the roads (since I might slip on that one flake), I've been dreaming of a room to re-do. The candidate: My oldest son's room! You know how some people (ahem, Catherine) have a pillow problem, or a magazine problem? 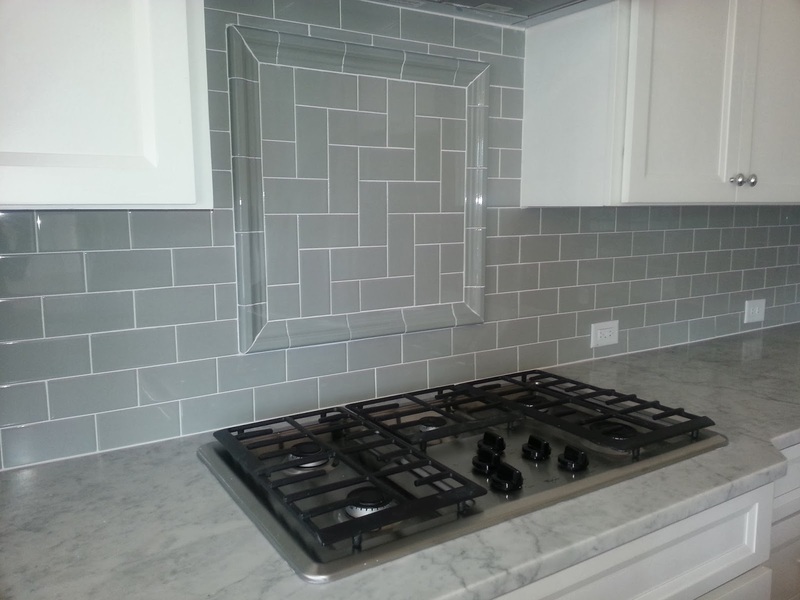 Well, I wouldn't classify it as a problem as of yet, but I am seriously obsessed with herringbone. 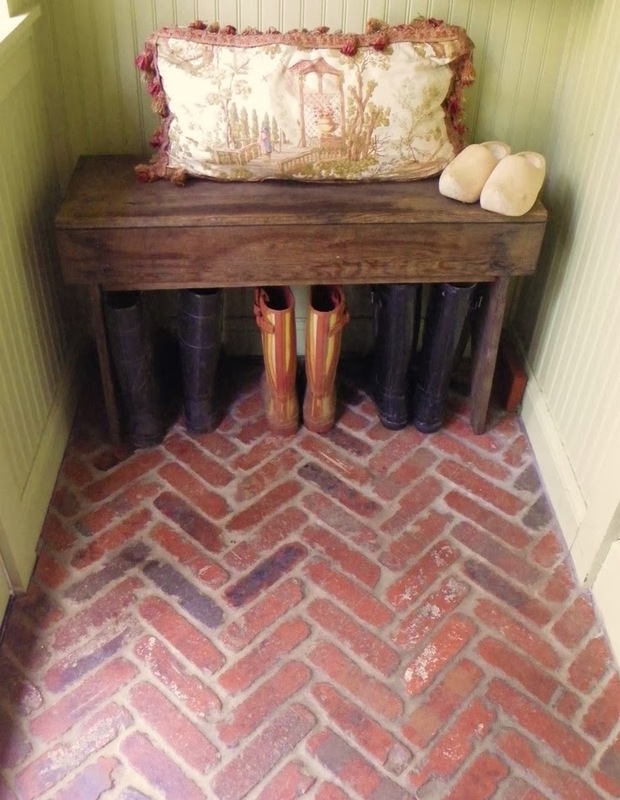 And brick herringbone? I adore it! Almost in the way Catherine loves chevron, I've decided that somewhere in my house, I need some herringbone. I think it would look great in Jack's room. 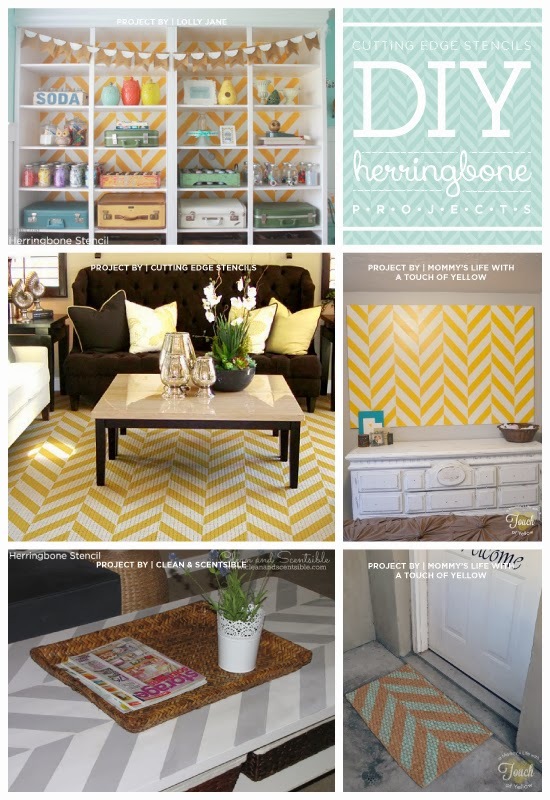 Imagine my delight when I ran across this blog with all sorts of herringbone projects! What? WHERE did you find that quilt? Oh, your Great Grandma quilted it for your Grandma in 1923? Oh, so it's an heirloom? Oh, so I can't have it? Ohhhhh, Kaaaaay. 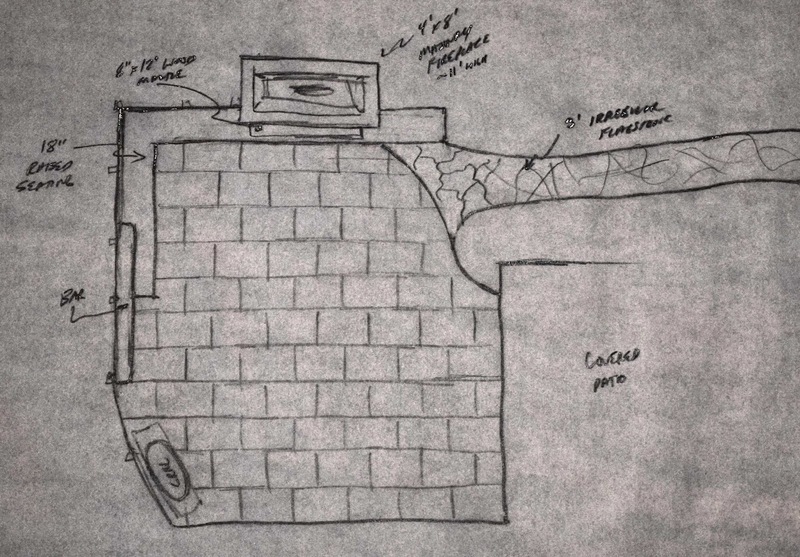 Plan B: FIND herringbone bedding. So far no luck. 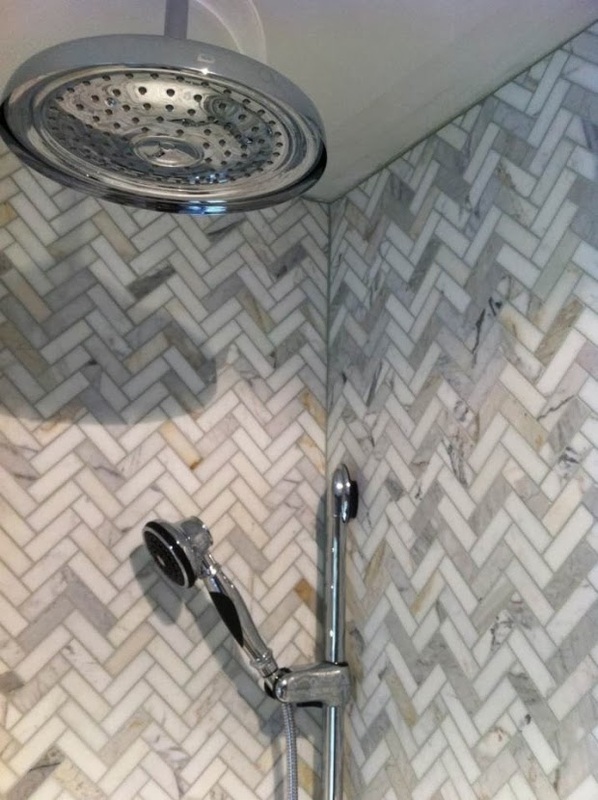 Well, clearly, I'm going to have to renovate the bathroom too so I can have matching marble tile. 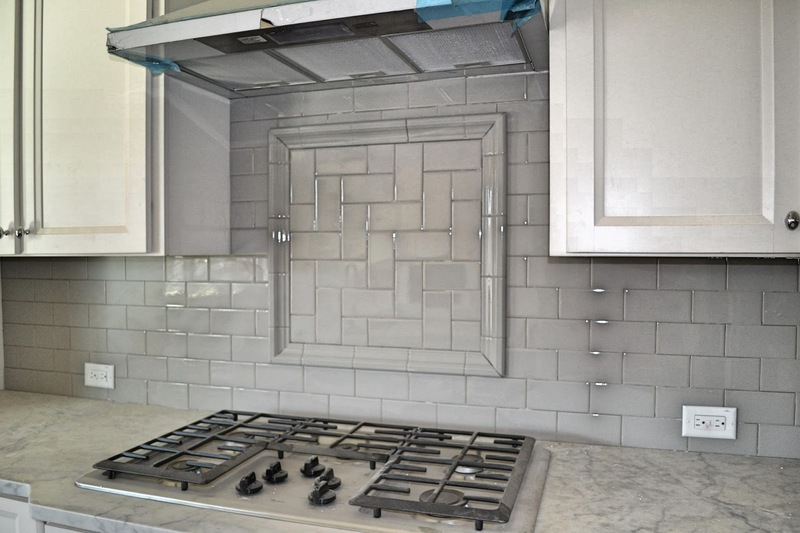 Fortunately, my clients building a house nearby in Cary let me toss in a little bit of herringbone into their new kitchen. Nice, huh? Uh huh. See? 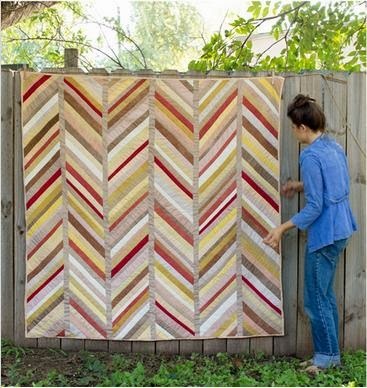 Are you feeling the herringbone love with me? 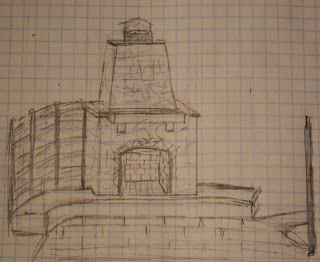 Ok, maybe this could be a good starting point. People tend to freak out around here when they hear the "S" word, and still not one flake. 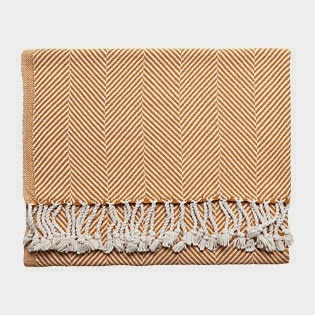 As I sit, cozy by my fireplace, I'll be dreaming up herringbone duvets and coverlets that somehow don't yet exist on the internet. What will you dream up? 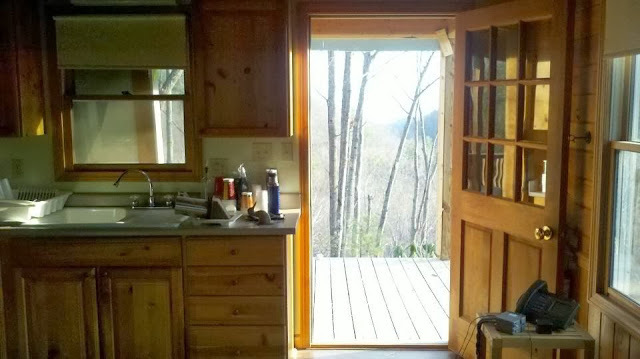 Our friends Mary and Bill have a phenomenal mountain home between Boone and Blowing Rock along the Blue Ridge Parkway in beautiful North Carolina. 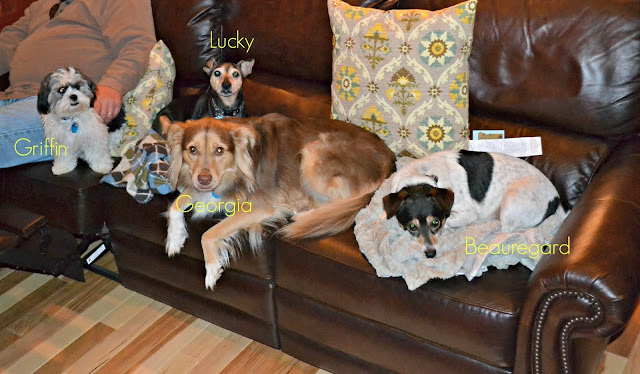 As Bill gets closer to retirement, Mary wanted their vacation home to become their forever home. 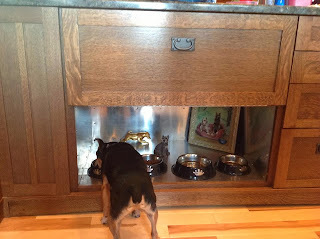 She quickly realized that a forever-home must have a dishwasher! Before the renovation the kitchen was charming, quaint and pretty close to perfect (except for the lack of a dishwasher). 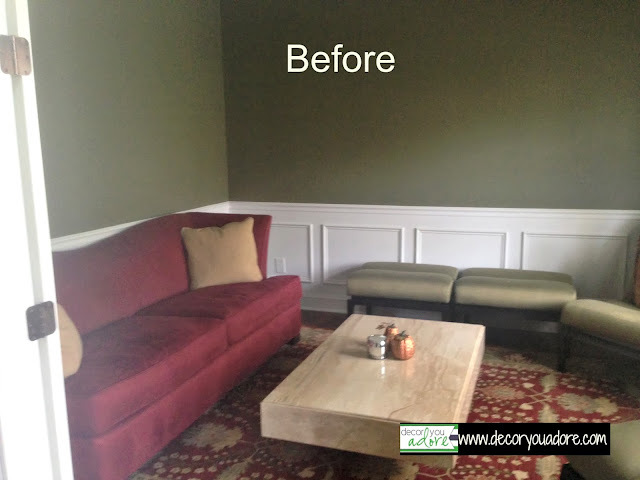 We all told her she was crazy to take on such a huge renovation when we all loved the cottage as it was. Mary decided that the only option to get the chef's kitchen she dreamed about was to blow out the back wall and create a massive addition. 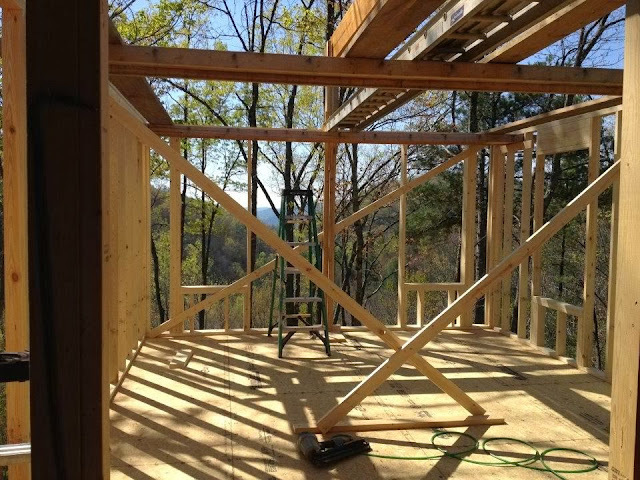 This photo shows the new room framed; just look at that view! 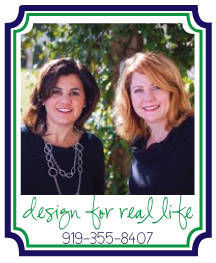 Mary doesn't have any trouble making decisions, and had a vision of how the space should look and function. 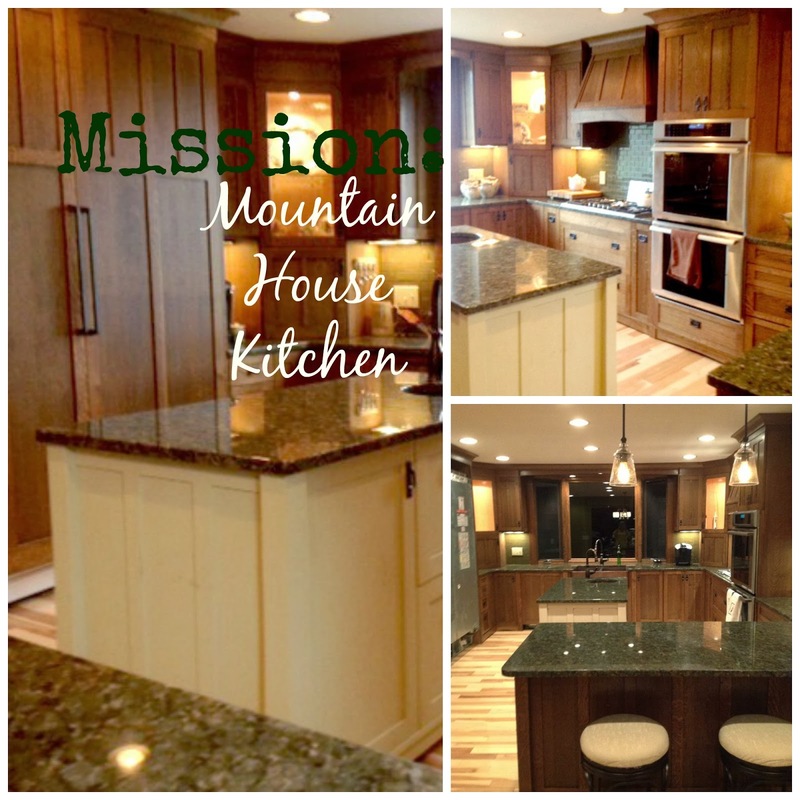 Professional appliances and Mission-style cabinetry were tops on her list of must-haves. She jokes with me (at least I think she's joking), that if you have to open a can, it's not really cooking. Well, that rules out everything I make. This large bay window is just spectacular. 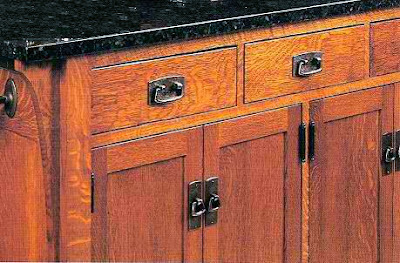 The copper farm sink is anti-bacterial and is a beautiful addition to this mission style kitchen. Natural Hickory wood floors are a perfect fit in this mountain abode. The variation of light and dark compliment the darker stain of the craftsman cabinetry. 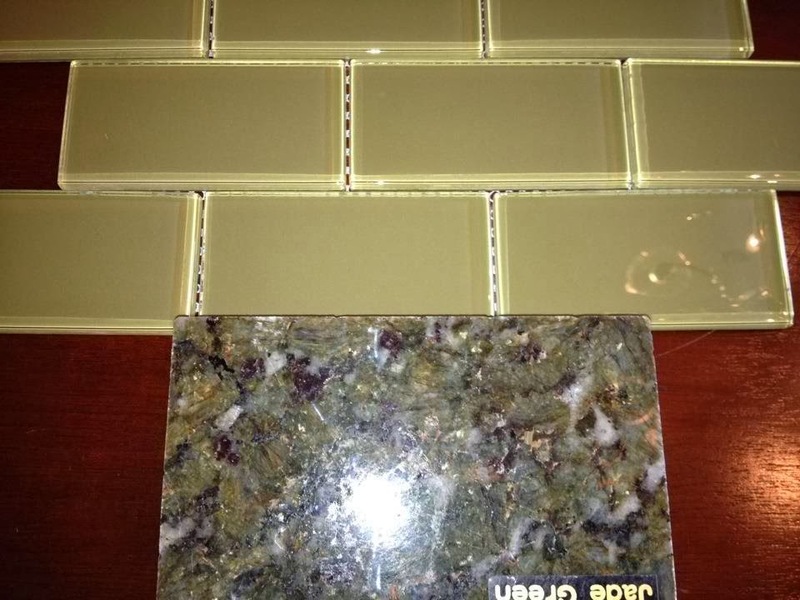 The glass backsplash provides just the right amount of subtle color to the room and picks up on the wonderful colors of nature. 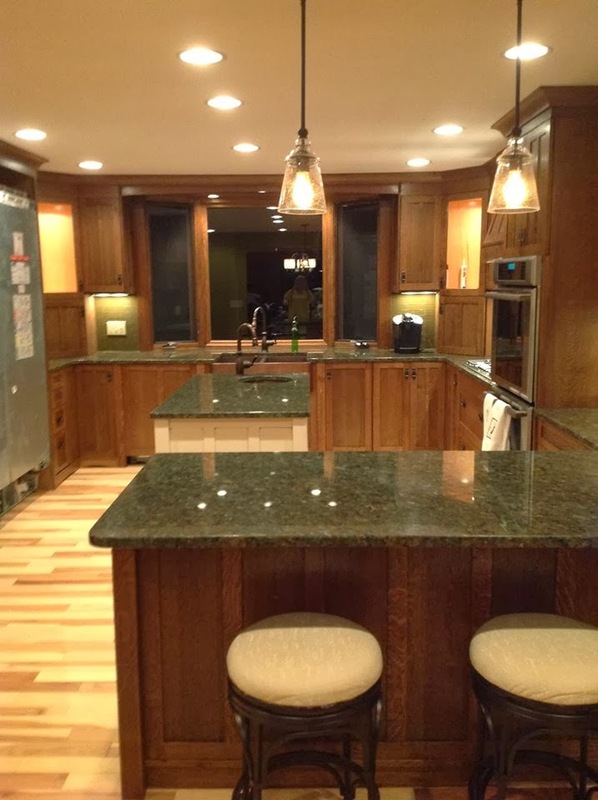 The cladding on the backside of the bar peninsula is framed out in a mission or craftsman style to match the feeling of the rest of the kitchen. 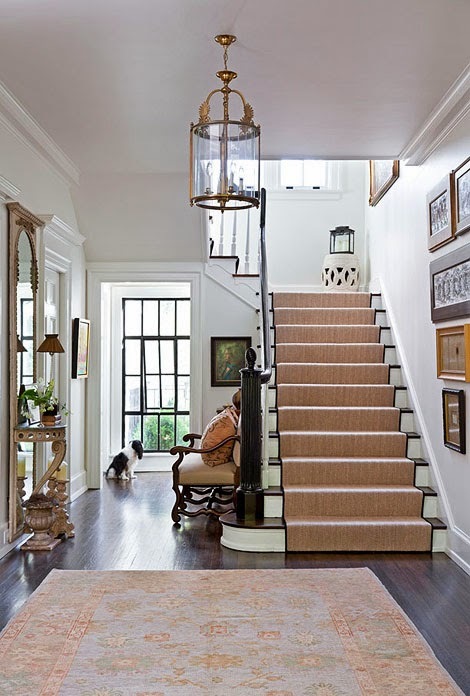 This adds a certain element of interest when viewed from the family room. Mary is always so kind to allow us to bring our children as well as our four-legged friends when we visit. Her dogs, Beau and Lucky are certainly lucky to have this stainless steel custom made feeding station built right in to the cabinetry. 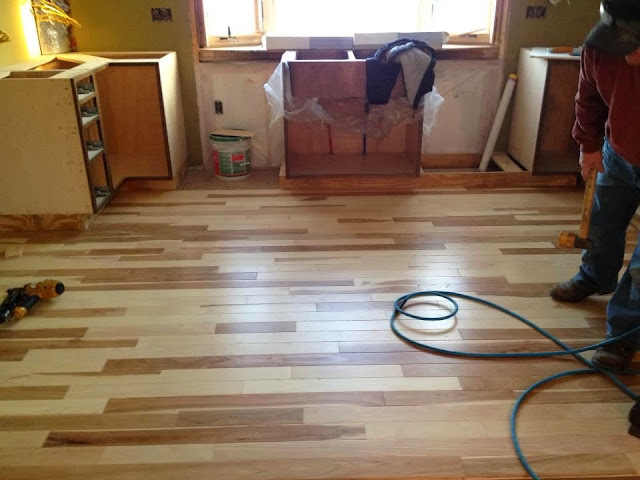 No mess on the floor; I love that! The pictures aren't the greatest, but you can see the beauty of the Jade Green granite in this photo of the peninsula. 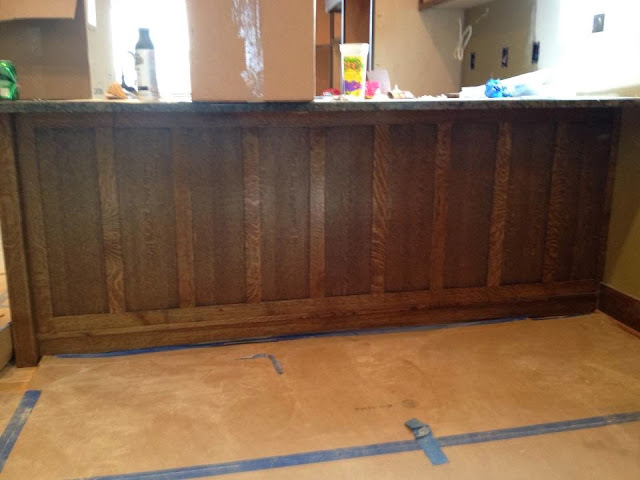 This image shows the Thermador refrigerator before the custom panels were installed. My son, Nathan, baking an apple pie with Mary. (He rarely wears a shirt.) 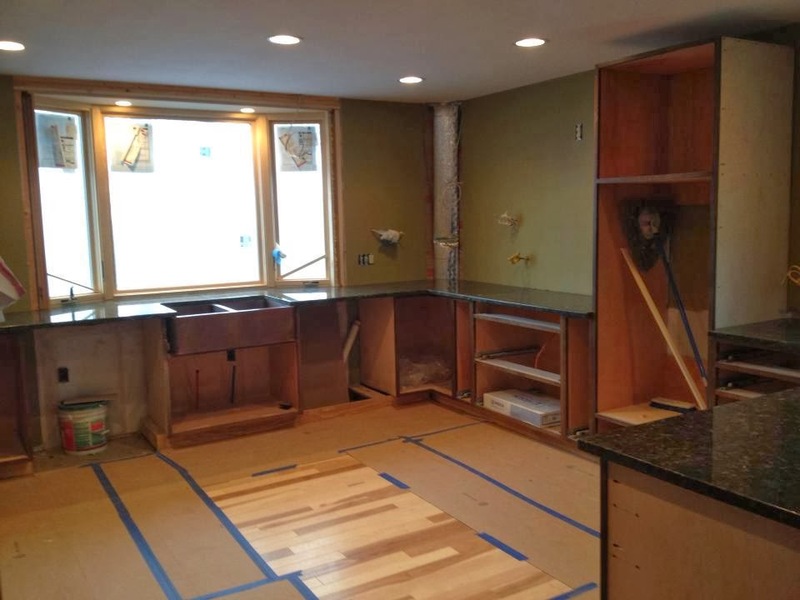 Isn't that island a great work surface? Mary has been fighting an illness recently...... I sure hope she is back to her spunky self soon. 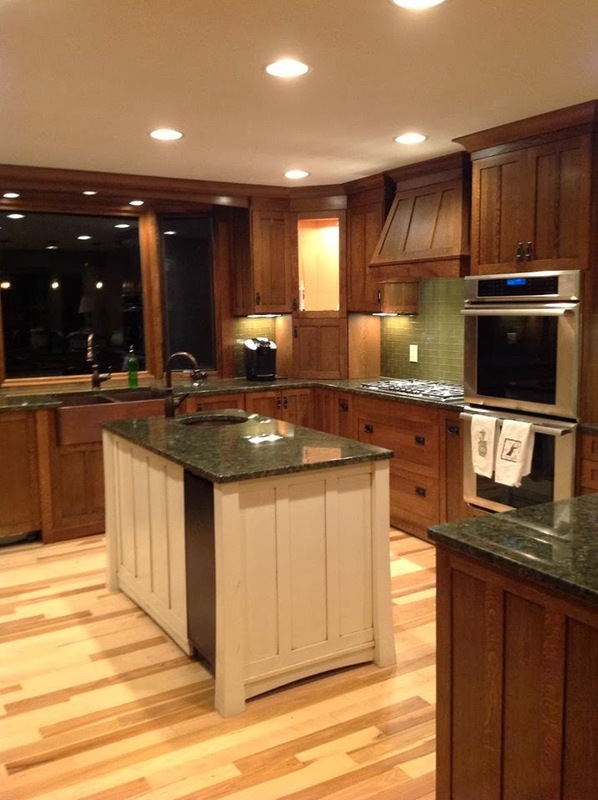 If you could have your dream kitchen renovation, what would it look like? 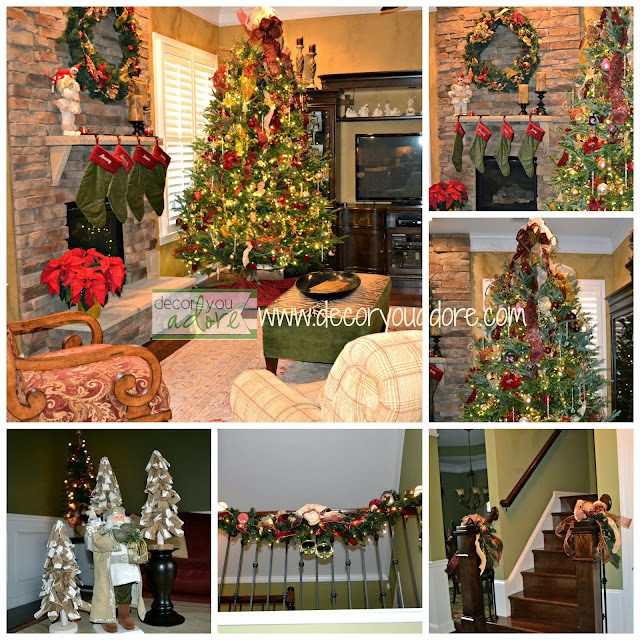 The holidays had us super busy decorating trees and garlands and vignettes-oh my! 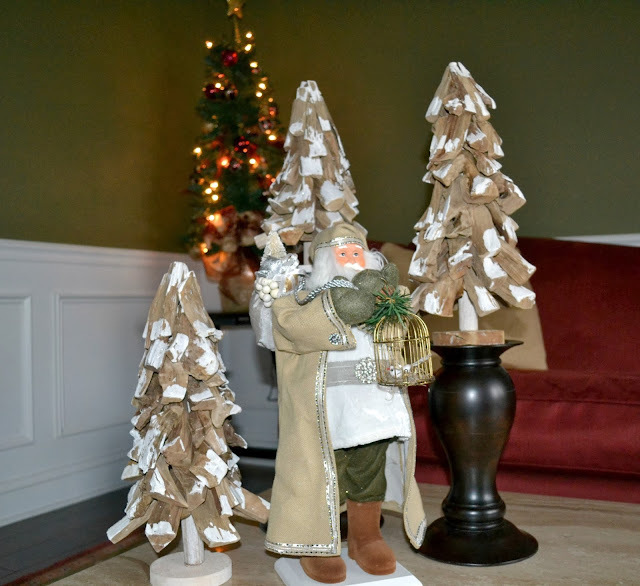 Even in the midst of all that glitter, we couldn't help but think of the non-holiday decor at one of our client's homes. We were there to make Christmas happen. But, we got a bit sidetracked. 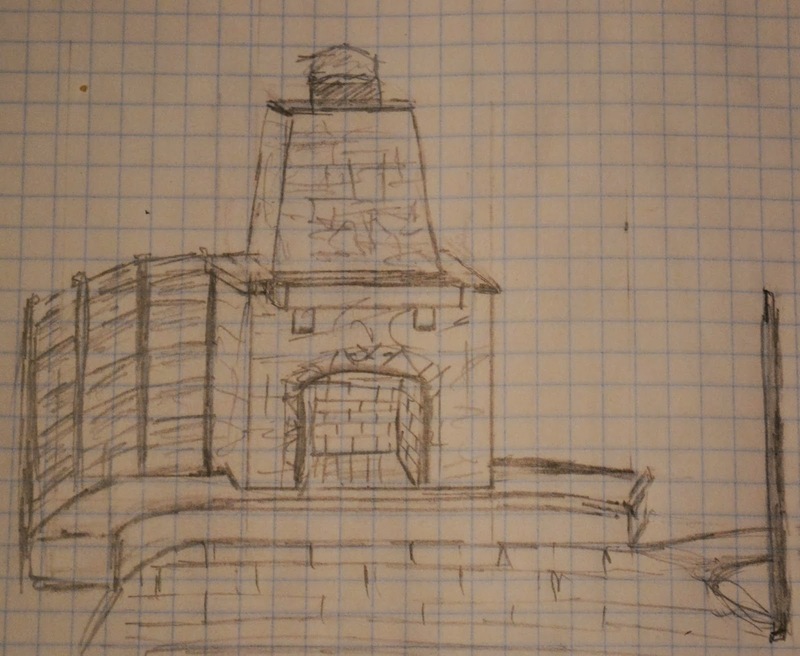 Oh yea, it's exactly as sketchy as it looks. 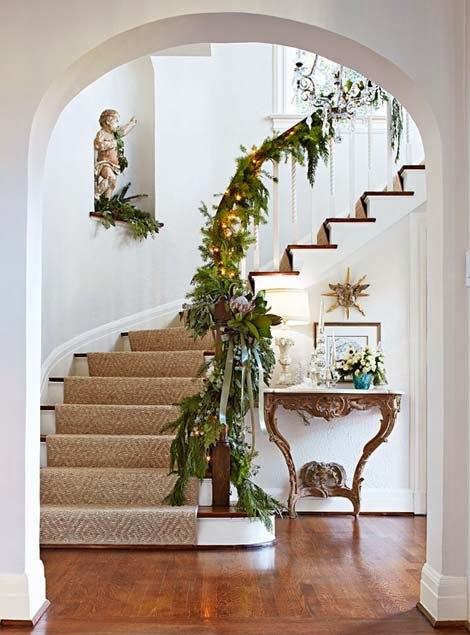 We were in our client's formal living room trying to use what we had for a sweet, Christmas scene to greet guests as they came in the front door. 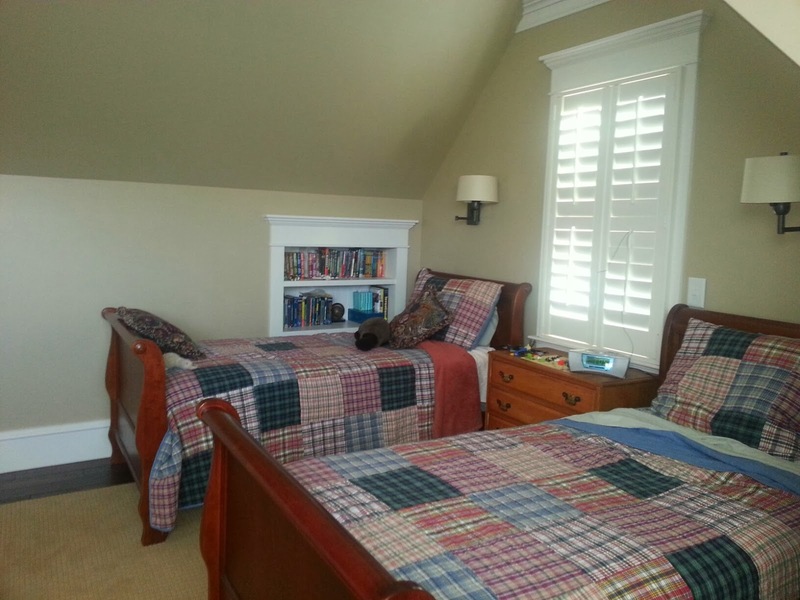 Here's what the room looked like before we got our mitts on it. See this table? It looks innocent enough. It's NOT! It weighs 5,423 pounds (approximately). It is solid marble!!! And, worse than that...it is a family heirloom brought over on great-grandma's back from Belgium (or something like that). So, in other words, it stays. Design around it. If you look at the pic closely, you will see that the couch is indeed balanced on the table. That happened right after I put the camera down and rescued Jacki. I felt she deserved to be stuck under that couch while I took the pic since I said, and I quote, "I'm usually all for a good, hair-brained idea, but that table is crazy, heavy and this is not going to happen." Notes to self: Join weight watchers and never wear horizontal stripes again! Famous.Last.Words. I should have known there was no talking Jacki out of it. So, we huffed and puffed and moved the furniture. Does this inspire you to move some furniture around or assure you that those Decor You Adore girls are crazy? 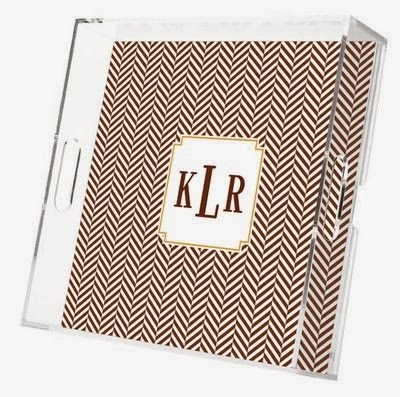 As I prepare my home to put on the market this spring, I've been taking this organization thing SERIOUSLY. Instead of stripping the Christmas tree and stuffing everything back into the old Hoover vacuum box again, I vowed to give every, single, holiday item a proper home. 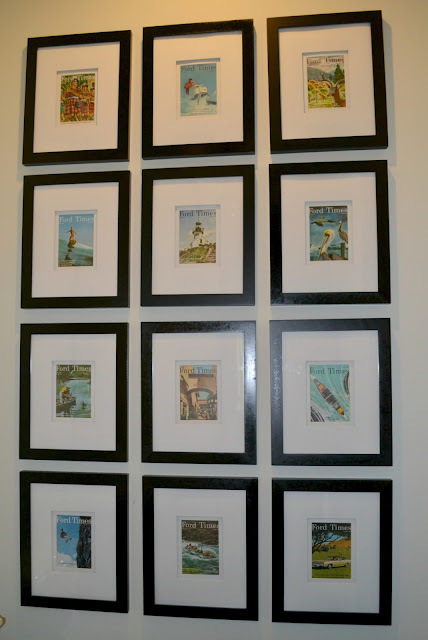 This was just the beginning of my mission to make every space in my house a functional, organized masterpiece. 1. 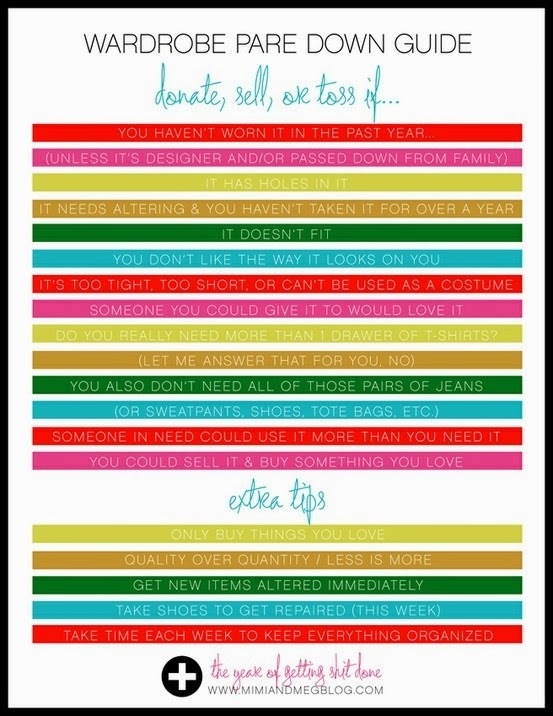 You don't really need that college sorority sweatshirt. A few years ago, Catherine, who is ruthless when it comes to clutter, came over to "help" me organize. 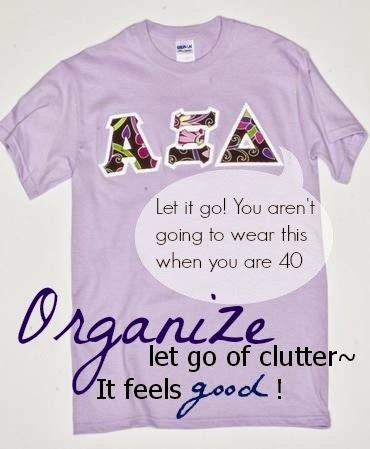 When we got to my closet, she threw away every, single one of my lettered sorority shirts, including my well-loved sweatshirts. I was depressed for days over those sweatshirts, but you know what? I haven't needed them once in three years. We now refer to this as "Operation Sweatshirt". 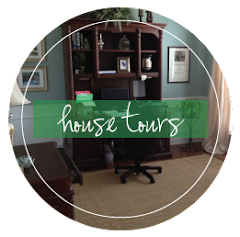 If you're sick and tired of your disorganized home, and you've resolved to finally do something about it, the first thing you need to do is PURGE. 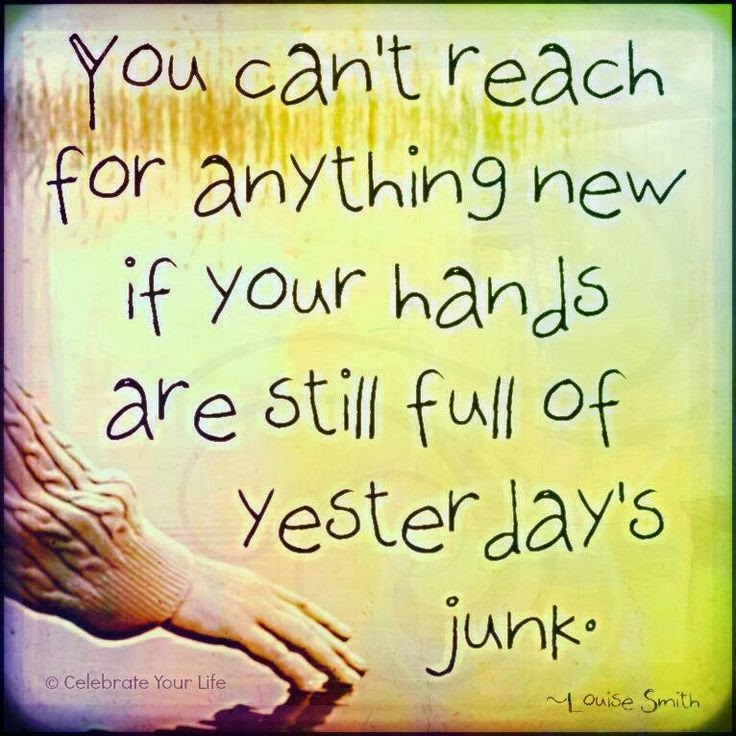 Take a day (or two) to go through closets, shelves, boxes and overflowing drawers to get rid of items you don't need. 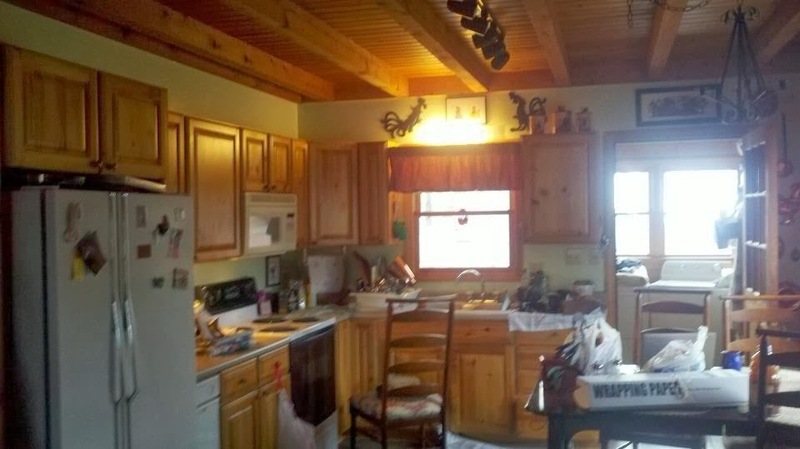 Once you get rid of all those useless items, your home will be able to breathe, and so will you. 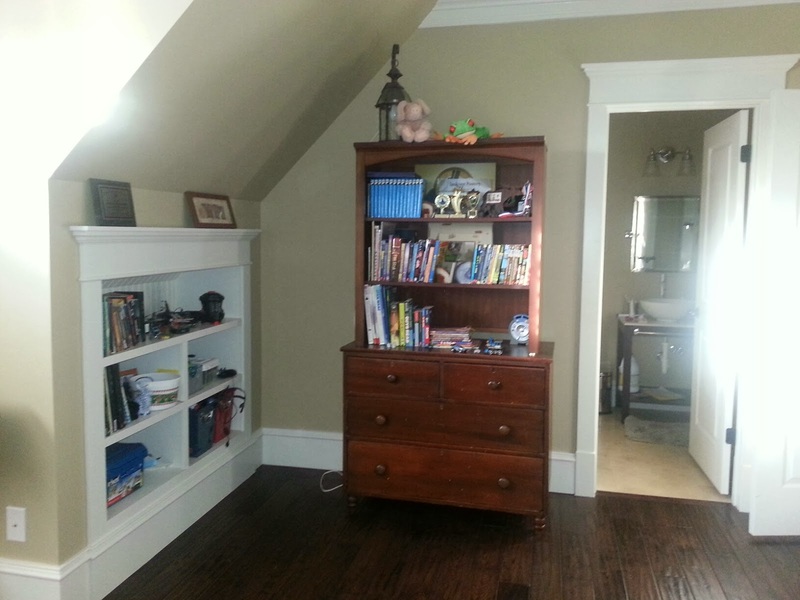 Once you've purged your unused items, it's time to find storage solutions for items you keep. Time to tidy up the books and magazines piled on desks and the clothing piled on the elliptical machine. 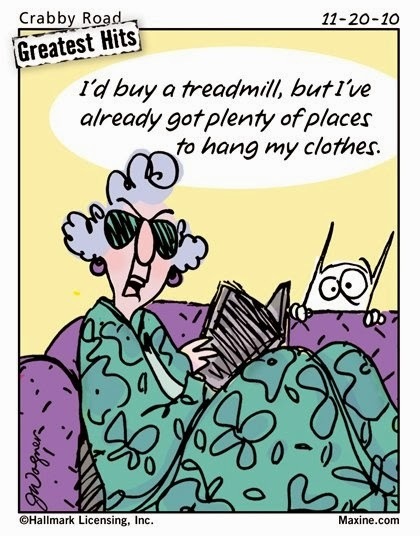 It's actually an exercise device rather than a coatrack. Invest in some book shelves for books you want to keep but first ask yourself, "Will I ever read this book again?". If the answer is no, then that book just became clutter. 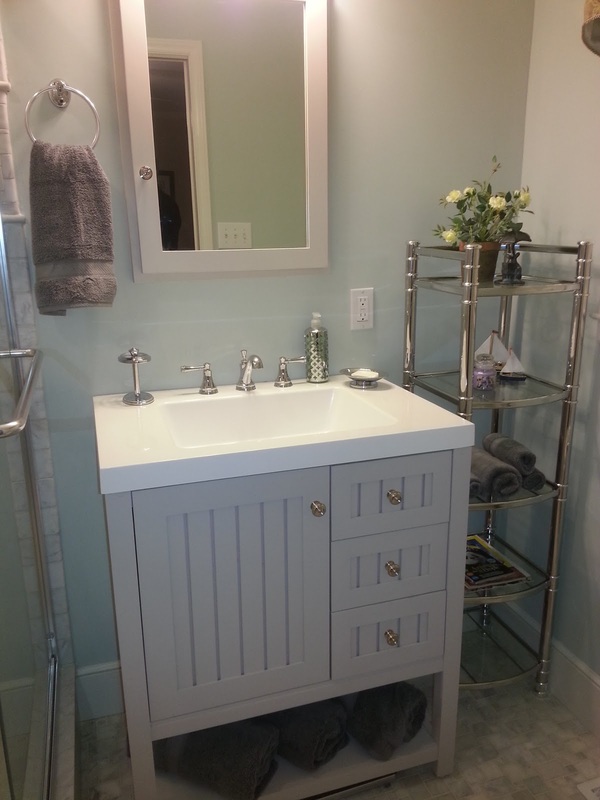 Use decorative baskets, trays and boxes for kitchen, bedroom and bathroom storage. Think about investing in furniture that does double duty as storage. 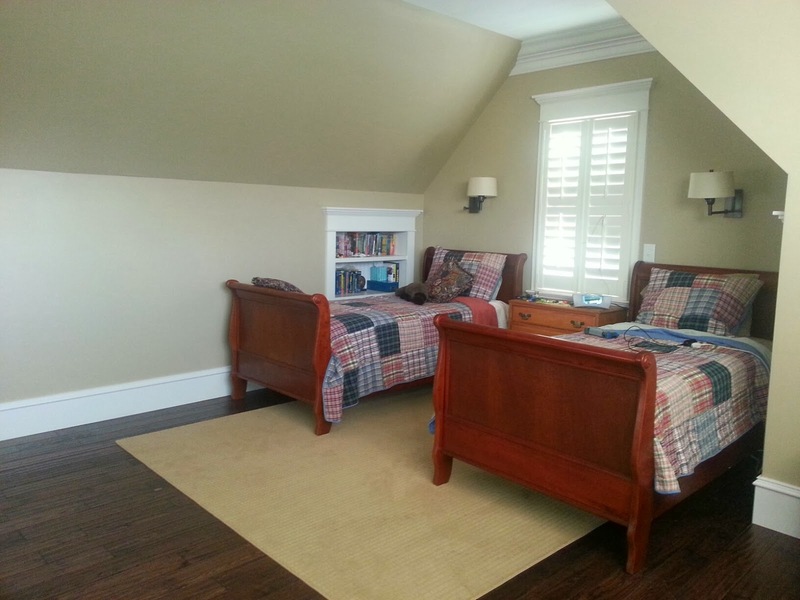 Beds, ottomans, coffee tables that have ample space hidden within will instantly eliminate clutter. This is especially useful if you have young children — just pop the toys into a trunk that doubles as a coffee table to tidy the living room in no time. 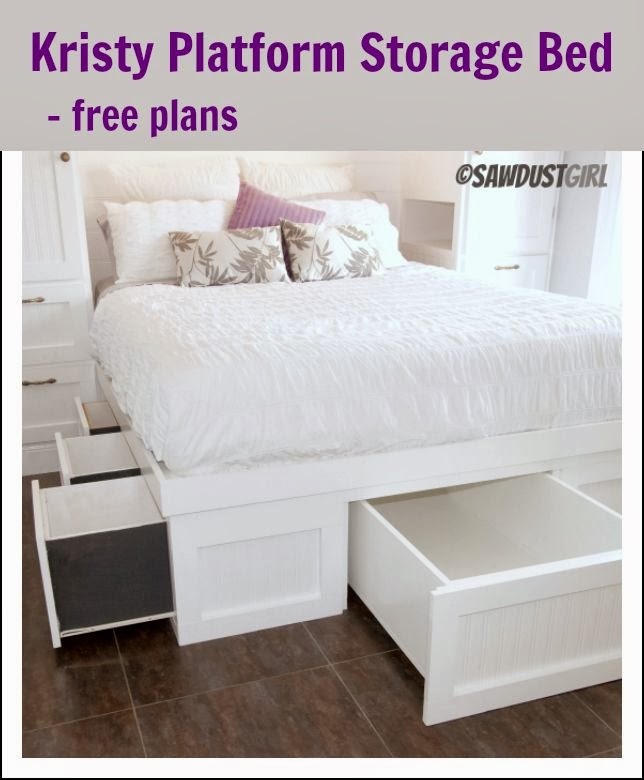 I'm loving the plans for a storage bed from sawdustgirl. 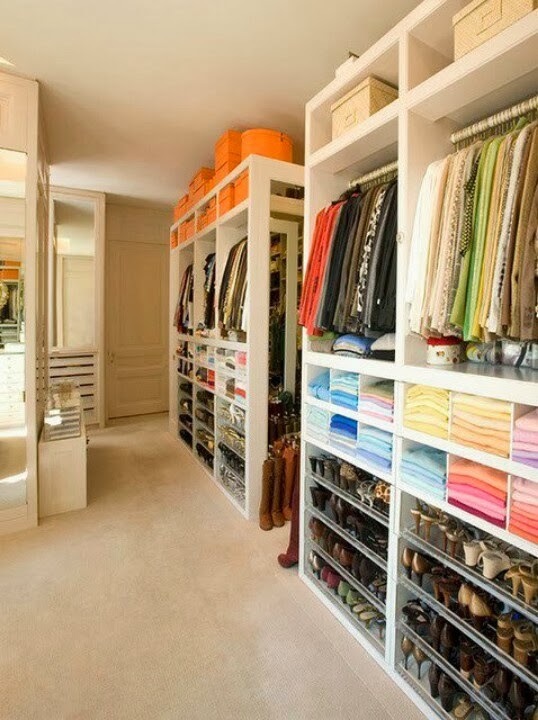 Maximize vertical space by adding hooks where you can. This will get things off the ground and create more space. 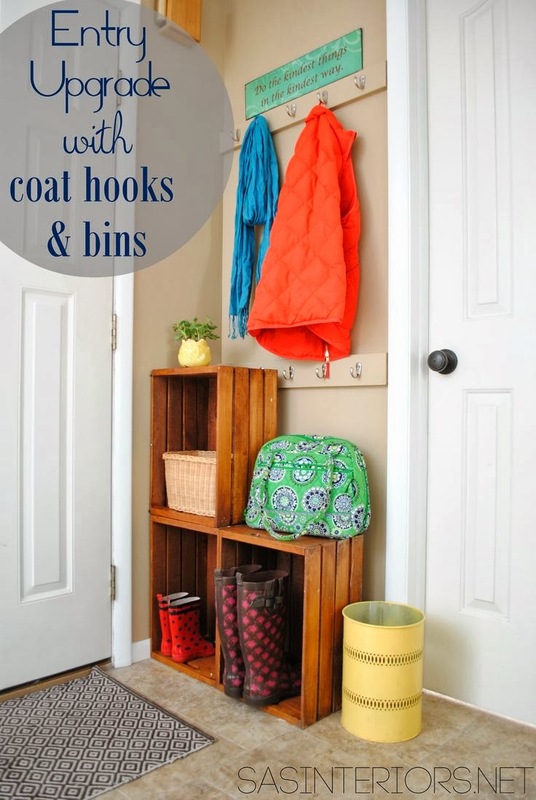 Try hooks on the wall for towels in the bathroom and coats in a front entry. 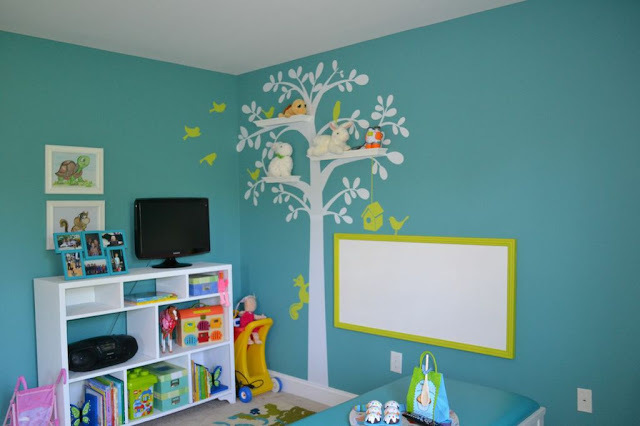 A tidier home is the result of getting the clutter off the floor. 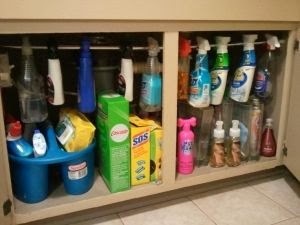 Try hanging a tension rod under the kitchen sink to hold all the spray bottles and cleaning supplies. 5. A place for everything and everything in it's place. Commit to this New Year's resolution by keeping up your new storage solutions. Instead of throwing your coat on the bed when you walk in the door, get in the habit of hanging it up in the coat closet. 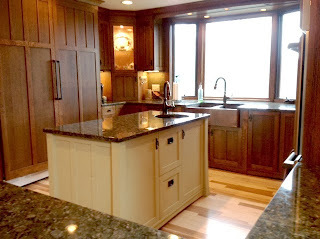 Every little bit of consistency will result in a tidy home you will be proud of. Ahhhhhhhh. That feels good, right? 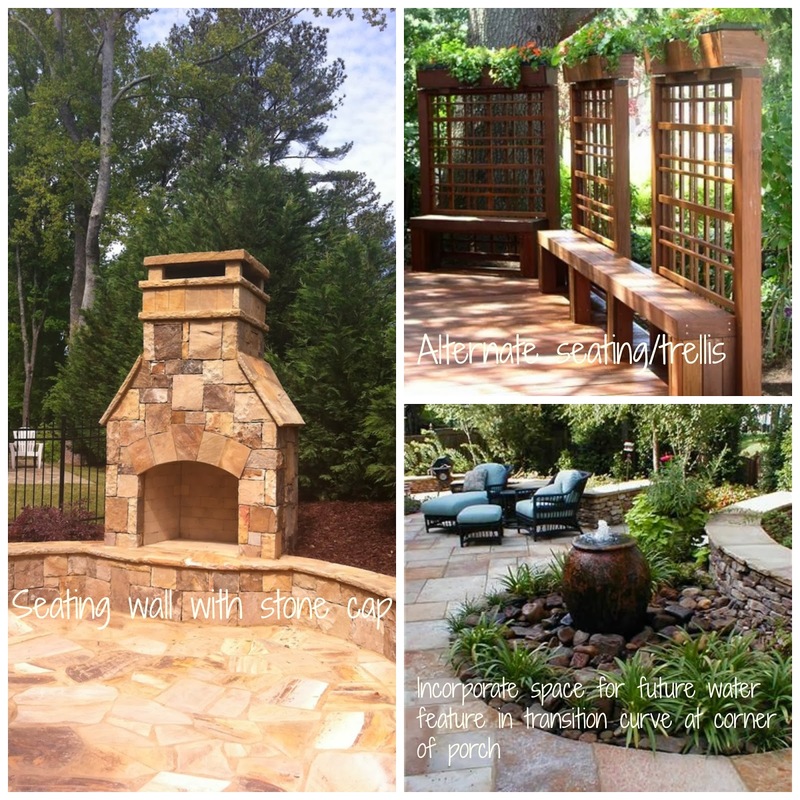 Warm up this winter with a cozy outdoor fireplace! 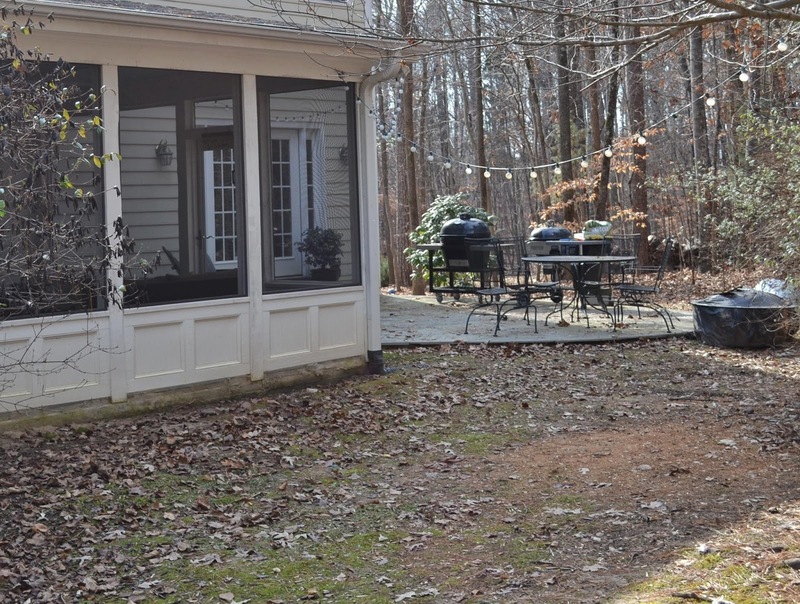 With record low temps in central NC lately, many are left longing for summer days around the campfire. One of our client's decided they couldn't wait for summer to start enjoying their backyard patio space. 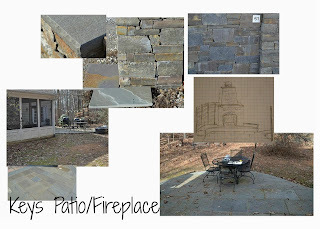 A few years ago, the customer's added this wonderful cut bluestone patio. 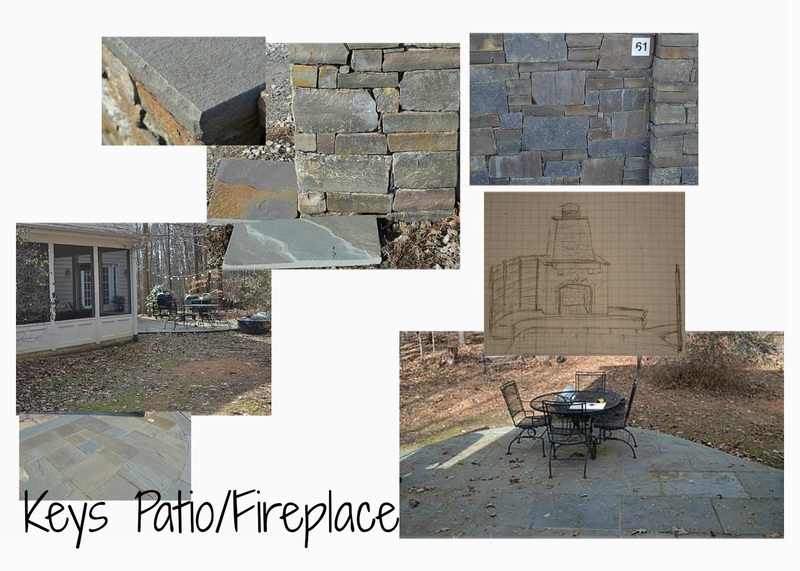 The pieces of stone are 2' x 3' and the space is charming and functional for grilling and outdoor dining. There was just one thing missing; warmth! 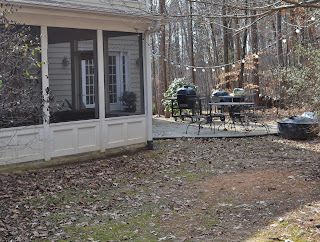 Typically, you can use your backyard patio at least 10 or 11 months out of the year here in North Carolina. This week is certainly the exception! 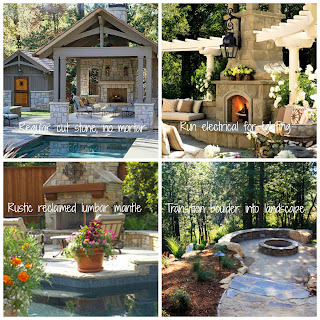 After pouring over photographs, we came up with some great design ideas to incorporate to make the new outdoor fireplace a perfect fit within the existing landscape. 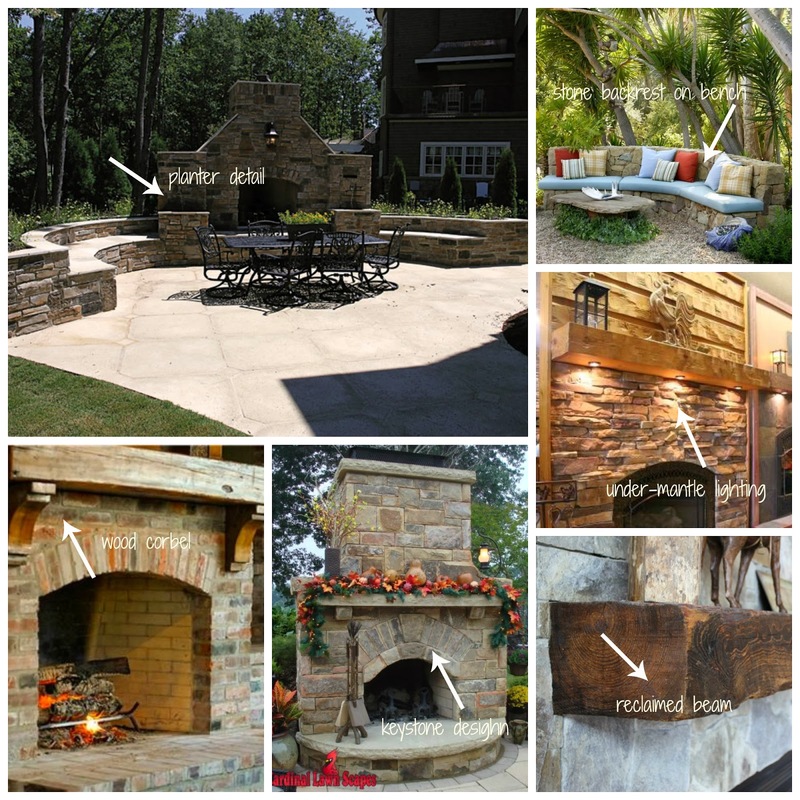 Here are some examples of phenomenal outdoor fireplaces we used as inspiration! 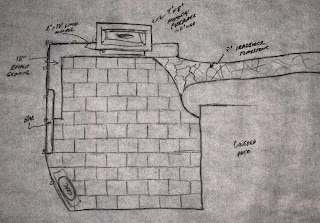 After approving the sketch, we are ready to get started. Let's hope we can finish this gem before the Super Bowl. For added privacy along the side yard we will build a Redwood trellis screen. When incorporated into seating wall, it will be both beautiful and functional. Selections at the stone yard were overwhelming. With so many choices, we had to zero in on the most complementary stone for the job. 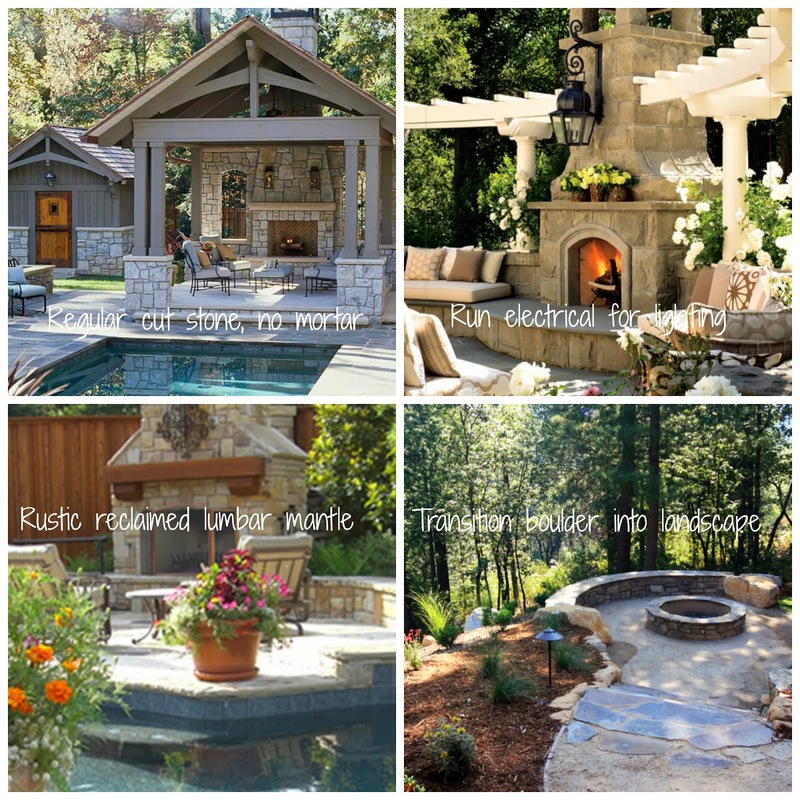 In the mood board we presented to the client, you can see that our choice has just enough rustic charm, with the clean lines they prefer. No exposed mortar joints was another personal style decision that is going to keep the focus on the beauty of the stone. We'll post photos of the progress; so check back with us in the next few weeks!